When you mention the word “knotwork”, different people will picture different things: The rigging of sailing ships, 60s macramé wall hangings, or elaborate ancient Celtic graphics, seen in ancient Irish Gospels, like the Book of Kells. It helps to sort through the confusion, by understanding that these are all, at their roots, the same thing: a form of continuous-line weaving. 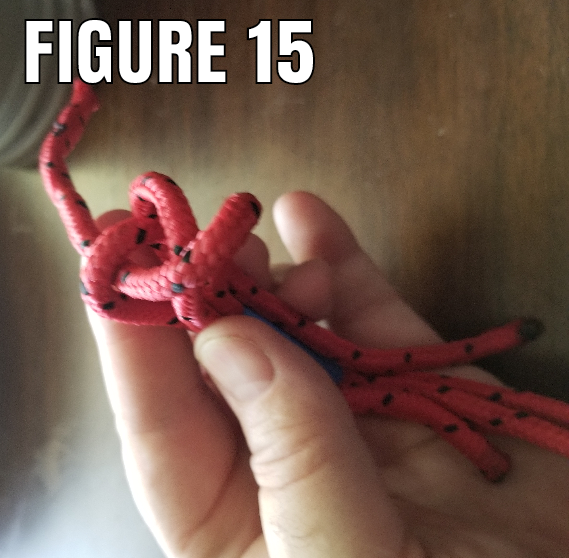 In my youth, as a Boy Scout, I struggled with knot-tying: A knot I had JUST learned, and tied successfully, was lost to me, minutes later. 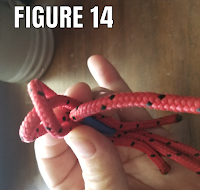 “The rabbit goes around the tree, and the shark jumps over it… no, the shark eats the boat, then the rabbit eats the shark… No…” Knot-tying was like Algebra: complicated, and hard to imagine how I’d use it, in real life. 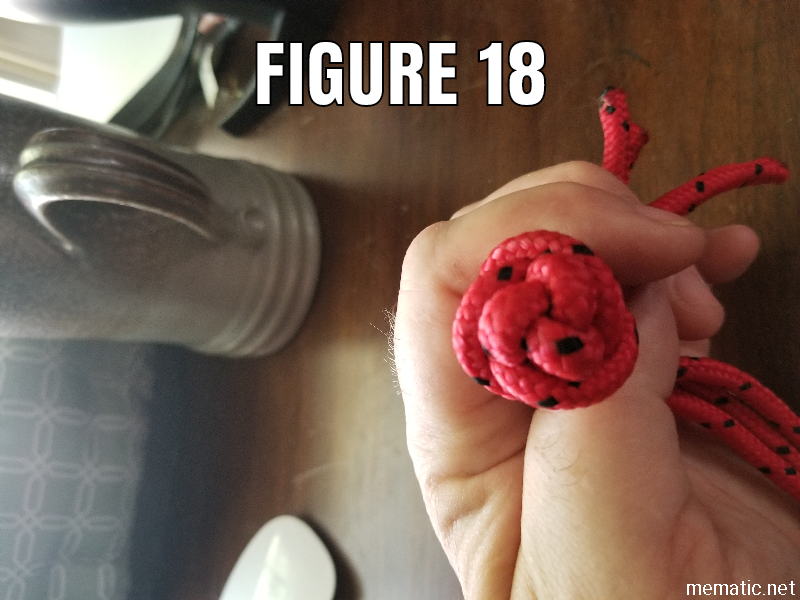 It wasn’t until my early 20s, when I developed a fascination for Ancient Celtic art, and knotwork, in particular, that I began to see the patterns and architecture of knots. And when I began my fascination with Sailing Ships, I began to see that knots are like old-style LEGO, or Tinkertoys: You only really have a few different pieces to work with: It’s how you COMBINE them, which makes all the different knots. 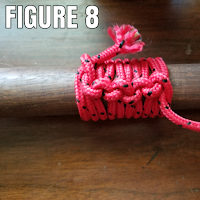 When I went to Hollywood, to work in Special Effects and Props, I took my newfound understanding of the Art of Ropework with me: When James Franco played James Dean, I did the fancywork shoulder-sling on his conga drum, and the “monkey’s fist” he plays with on the set of “Giant”. For Band of Brothers, I coiled all the letdown ropes the 101st guys wore for the Normandy jump. 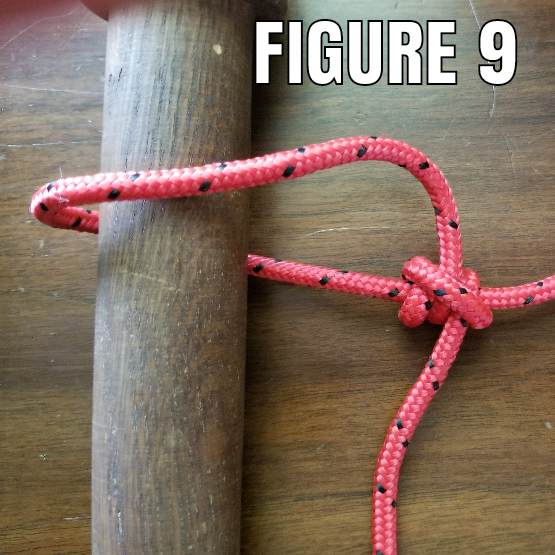 I even did the ropework for a prototype hammock for Master and Commander, but, alas, another Prophouse got the gig, so my work didn’t appear in the film. Having a working CONTEXT to use this knowledge, made all the difference. 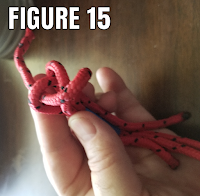 I won’t go much into the TYPES of knots: Hitches, to secure a line to an object; Bends, to temporarily connect two lines, Splices, to PERMANENTLY connect two lines, or create a clean end on a line, and True Knots, to create a stop or other such feature. 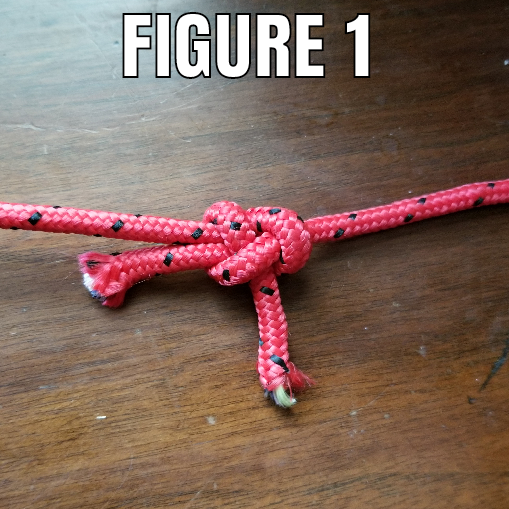 I’ll talk, primarily, of the STRUCTURE of knots. 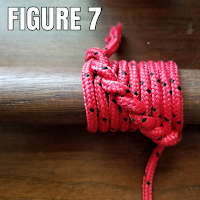 In the accompanying images, I’ll be using red nylon rope: It’s easier to see the various elements of each knot, than with a natural-fiber, laid rope. 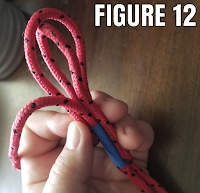 To understand what I mean about knots being made up of only a few, related elements, let’s look at the Sheet Bend (Figure 1): This is a quick, temporary hitch for connecting two lines. 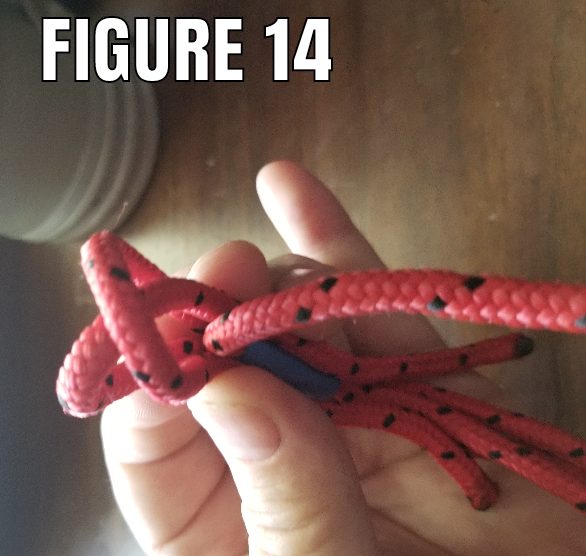 You can see that one line is simply a loop, the other goes up through, around under both legs of the loop, and up and across, passing under itself. 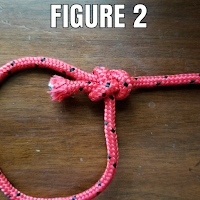 Now look at the Bowline (Figure 2): It’s EXACTLY THE SAME KNOT! The only difference, is that the working end of the line from the right, loops around to become the standing end of the line from the left. So here, one of the most basic bends becomes one of the most basic hitches, simply by virtue of the loop. 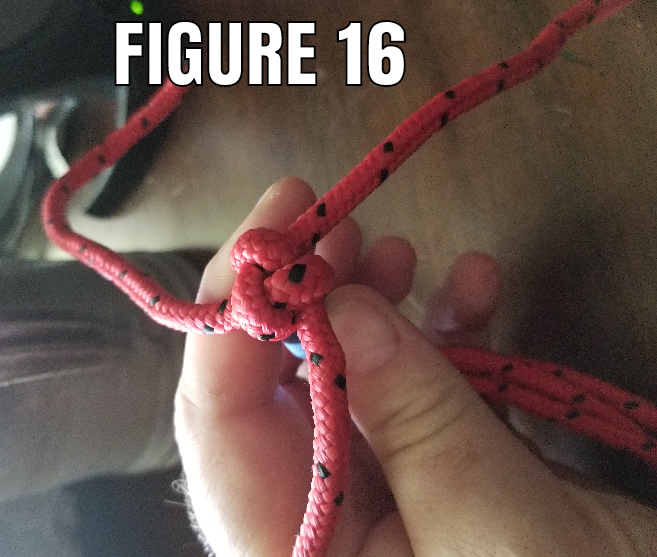 Cut the loop, and it’s a Sheet Bend. 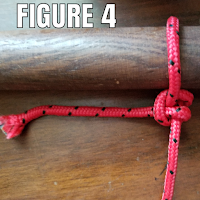 Now, lets look at Two Half-hitches (Shown loose, in Figure 3, and taut, in Figure 4): If I slide it off the belaying pin, and snug it up (Figure 5), you can see the way is creates a diagonal, across itself, making a sort of “Letter N”. 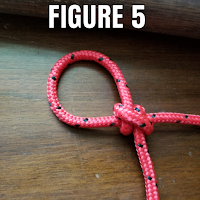 If we look at the Clove Hitch, (Figure 6) you can see that same “Letter N” is formed around the pin, itself, instead of around the standing part of the line. 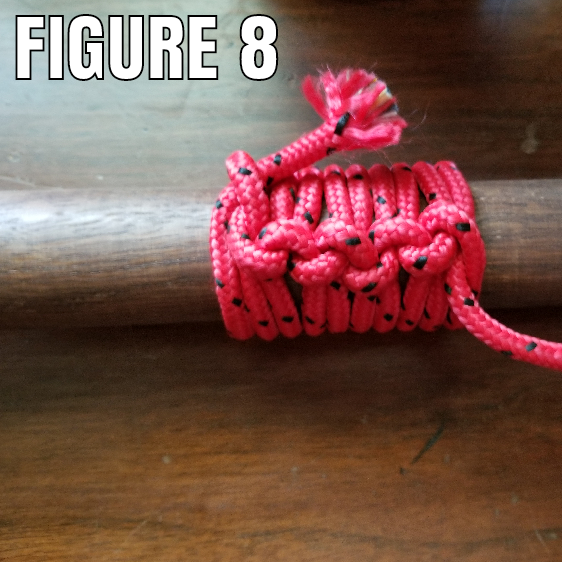 If I KEEP “throwing” Hitches around the pin, I get “French Hitching” (figure 7); a decorative and protective covering, which can also improve handgrip on railings, etc. 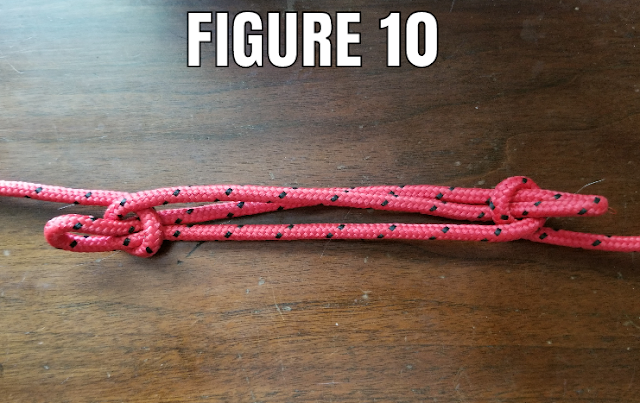 If, however, I ALTERNATE the direction of subsequent hitches, I get “Cockscombing” (Figure 8), which serves the same purpose, but with the resulting ridge running straight down one side, rather than spiraling. 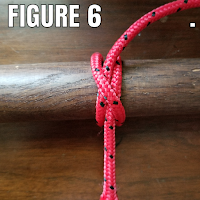 The Taut-line Hitch (Figure 9) many of us learned in Scouts, for adjusting tent ropes, is just another variation on the use of Half-Hitches. 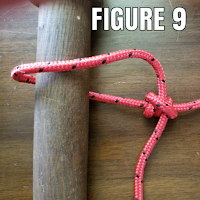 To tie the infamous Sheep Shank (Figure 10), double the rope back on itself, twice, making an elongated “S” or “Z”, and throw a half-hitch over either end. 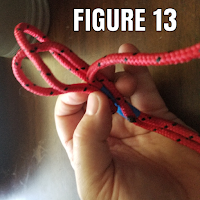 When you start getting into Stop-knots, like the Wall, the Crown, the Wall-and-Crown, or even the Matthew Walker, or Splices, or into Turk’s Heads, the principles of the aforementioned Celtic Art come in: In Knotwork, the Artist generally follows a rule of “Over one, under one” (or Over 2, under 2, etc.) 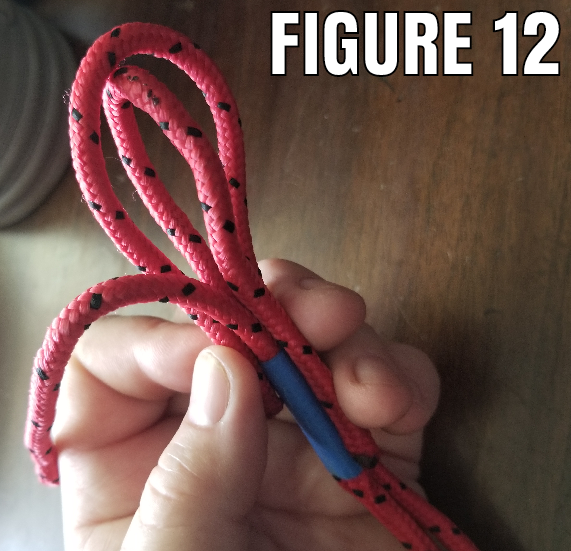 In addition, on splices, and most good Stop-knots, you’ll be using the individual yarns of the line, untwisted from each other, to create your knot. 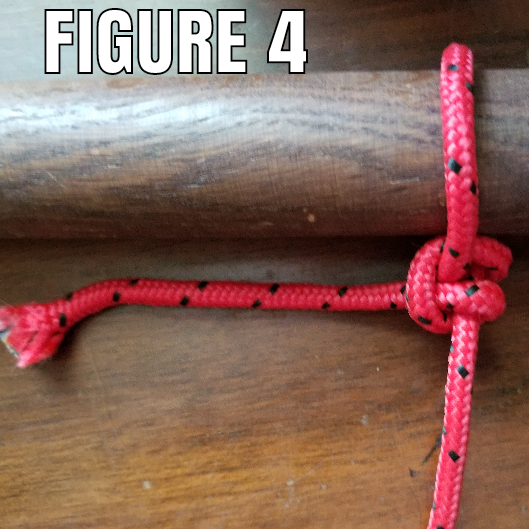 Here, I’ll be using three separate ropes, taped in a bundle, to represent the three individual yarns, unlaid from the end of the rope, to create a basic Crown Knot. 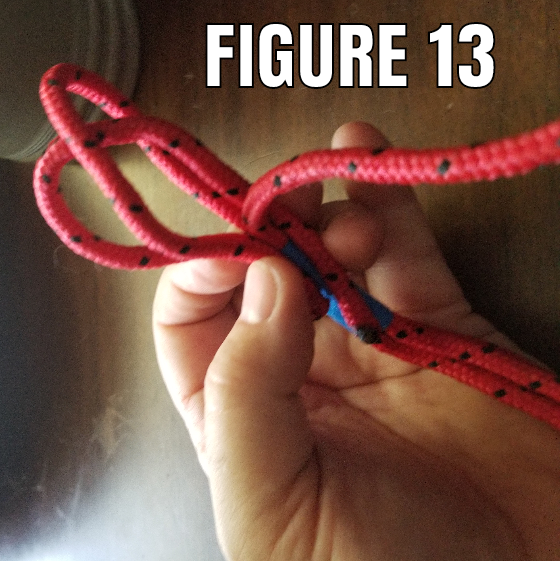 First, laying open the yarns, I bring one up and over, down between the other two, laying it alongside the standing part of my rope (Figure 11). 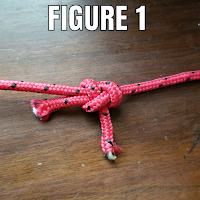 I then take the next end, and do the same (Figure 12 and 13). But I can’t simply bring the third yarn up and over the other two: it has to be interwoven with them, so that each holds its neighbor in place. 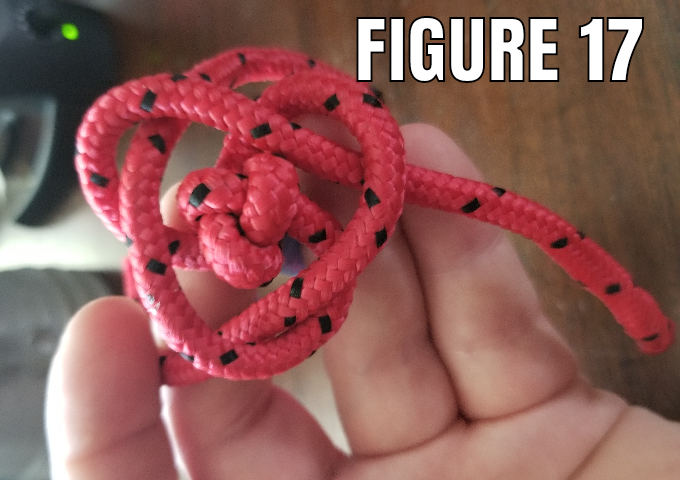 To do this, I’ll draw the first two loops tighter, to help me see where I need to go. 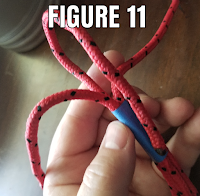 As you can see here, (Figure 14) yarn#1 isn’t holding anything down, and nothing is holding down yarn #2. 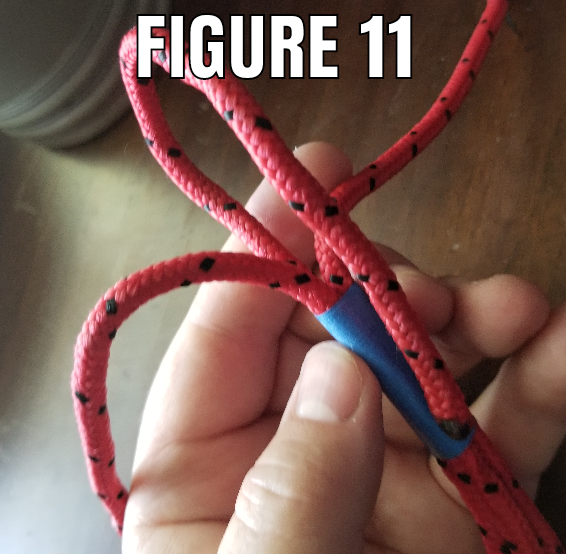 So Yarn # 3 has to go OVER #2, and UNDER #1, like so: (Figure 15). 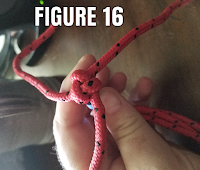 When I draw them up tight, (Figure 16) you can see that they form a tight triangle, with each going over one, then under the next. 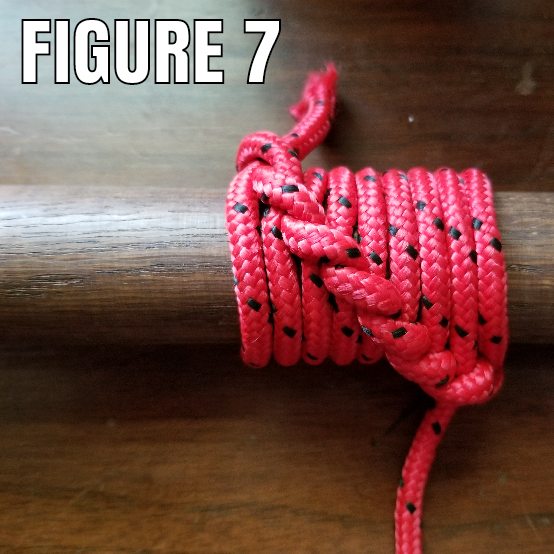 If I continue this pattern, (Figure 17 and 18) I can build a larger knob, useful to stop a line running out of a block, or to form a handhold at the end of the line. 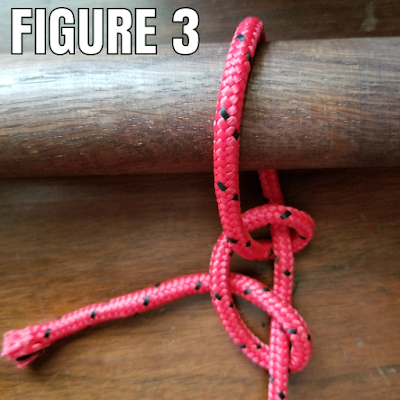 This is by no means an exhaustive exploration of knotwork, but, hopefully, it gives a basic understanding of the structure and architecture of ropework: The basic, geometric principles that help to create not just a knowledge of how to tie several knots, but how to UNDERSTAND how knots work, and to choose or develop the knots needed for any task. 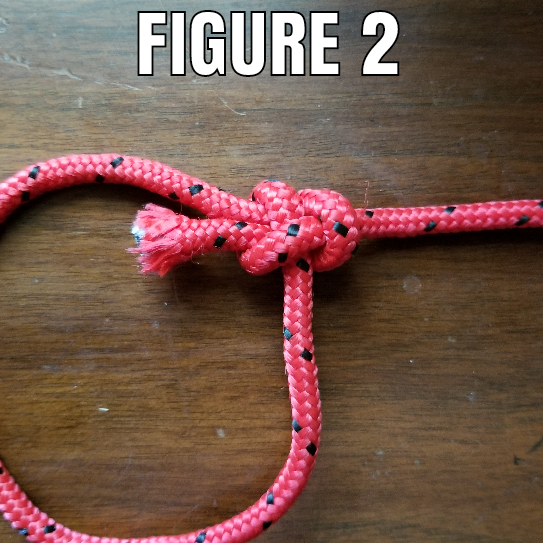 The Sea Scout Manual. Boy Scouts of America.